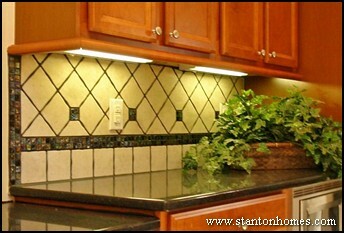 Ceramic is the most popular type of material used for kitchen tile backsplashes. In addition to the 4"x4" ceramic tile backsplash, a mini mosaic is often used as an inexpensive border and dividing line between striaght and diagonal tile lays. In this photo, the metallic mini mosaic accents adds sparkle and pulls together wood cabinetry and black granite counter tops. Subway tiles generally come in a 3"x6" pattern. 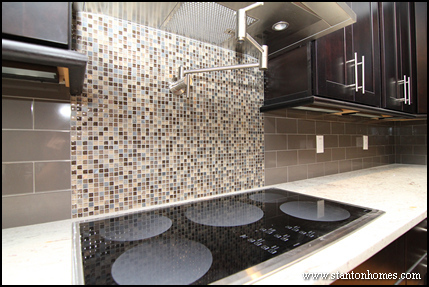 The tile backsplash pictured here incorporates two different colors of subway tiles, installed with a bricklay pattern. The exposed edges are finished with bullnose pieces. The decorative inset over the cooktop uses the same tiles in a contrasting color, set on the diagonal in a herringbone pattern, surrounded by a pencil width listello accent. 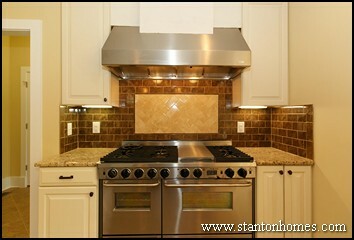 Click here for photos of white subway tile backsplahes. The materials you choose for your kitchen backsplash can change the entire tone of the room. While ceramic tile suites many kitchen styles, glass tile backsplashes can be the a perfect addition to contemporary or modern style new homes. See a photo gallery of the home pictured here. Mini-mosaics can provide artistic touches all over the kitchen, or add a simple colorful "pop" that brightens the mood. Mini mosaics are often found in focal points such as a centerpiece above the range. Or serve as accent stripes throughout the kitchen (see an example of a mini mosaic stripe in a version of the Dugan). How much do tile backsplashes cost? One of the best things about building a custom home is the vast array of choices in your price point. The cost depends on the materials you choose as well as thecomplexity of the pattern. Your designer will tell you more about your options - tile backsplashes are one of the best ways to create a unique environment without much additional cost. Want to keep the solid momentum of your granite theme? Ask your builder to carry it upward, with a granite backsplash. 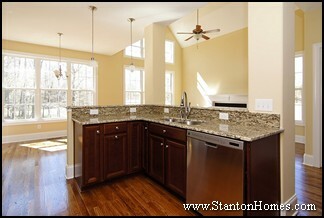 Click here to learn more about adding granite to a 2013 kitchen. 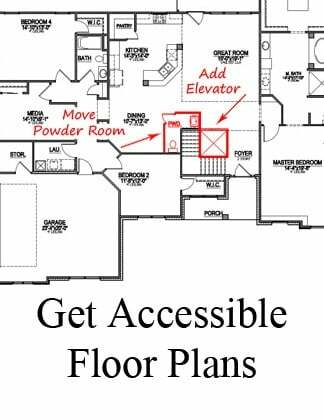 What's Included in my new Custom Home? 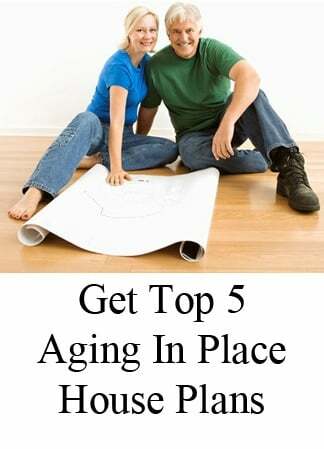 Before you sign a contract, find out what will be included in the home you purchase - it may be very different than what's visible in the loaded model. 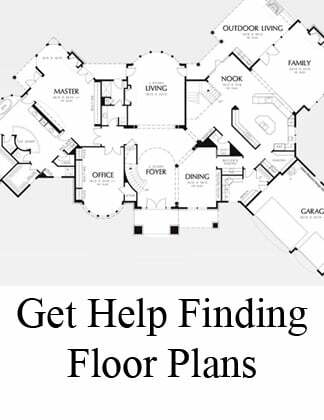 Ask questions about materials, craftsmanship and detail work, and be sure your custom home estimate includes your personalized, very specific set of specifications. Talk to the builder, and see if he's approachable, knowledgeable and intuitive - and ask him about details such as coordinating your kitchen backsplash into your overall design. A full height tile backsplash can be very artistic - and if you start out with tile you can change or add extra height later. Keep in mind that if you opt for an integrated Corian or laminate backsplash upfront, adding tile later won't be a seamless process. 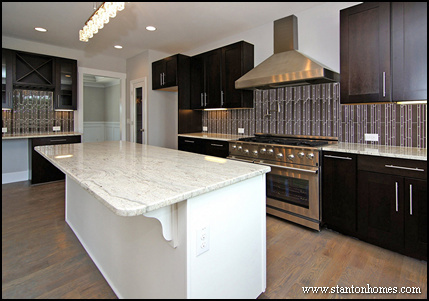 Each of the kitchen backsplashes pictured is an artistic creation of Stanton Homes, designed and handcrafted in real homes for real people. Our design team works closely with you from conception to completion, with expertise that helps you to create unique backsplashes for your kitchen and bathrooms along with every other detail in your custom home. 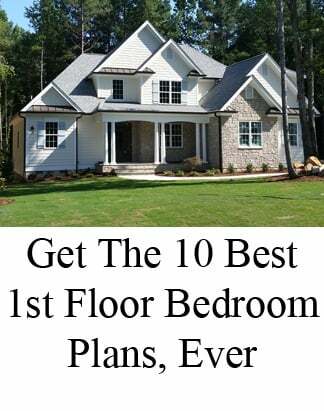 Click here to for the top 10 reasons to build a Stanton Home in central North Carolina.